Cloud computing continues to dominate the business environment. It seems like every other day we have a client asking about how the Cloud can help them optimize business. The Cloud is an amazing resource for businesses in any industry – it helps professionals stay productive, competitive and profitable in the modern business environment. However, one question constantly nags at the conscience of our clients – is the Cloud secure? Business owners need to know if their data will be safe when switching to a Cloud model. Furthermore, professionals who to need to adhere to industry standards, want assurance that the Cloud will help them stay compliant. There are countless myths about security and compliance when it comes to Cloud computing. However, we’re out to set the record straight. When it comes to Cloud security, what’s the reality? Stories of big-name companies getting hit by devastating breaches have become a common trend. Earlier this year, Equifax was hit by a hack that saw the sensitive financial data of over 140 million Americans stolen. In the wake of the attack, many Equifax executives resigned, but the company is still working to bounce back from the attack. The breach was caused because the Equifax IT team had failed to deploy the proper system updates. The failure to complete the updates created a wide-open window for attackers to gain full access to client data. However, with many stories like this popping up in the news – it’s important to understand the specifics. The Equifax hack occurred on an on-premise, legacy corporate data center – it did not occur in the Cloud. So, when you hear about these large-scale breaches, try not to automatically assume the attack occurred because of weak Cloud security. It’s not to say that cyber attacks don’t happen in the Cloud, but, there are some persisting myths that give business users the wrong impression about Cloud security. In this guide, we’re hoping to reassure our clients and other business professionals that Cloud computing and virtualization isn’t as scary and vulnerable as its made out to be. The reality is, the Cloud is a dynamic and strategic computing environment that is well suited to protect company data and uphold compliance – so long as the right safeguards are implemented properly. This is probably the most persistent myth about Cloud computing. We hear this all the time – “I don’t want to switch to the Cloud because my data is safer on a physical server.” While we understand the hesitation about migrating to the web to store company data, the idea that on-premise servers provide business owners with tighter security just isn’t true. The New York Times recently published an editorial that sets the record straight. The article notes that Cloud data is likely protected by even higher security controls than data stored on a physical server. The article goes on to stress that because Cloud computing is continuing to evolve and becoming more popular, leading computer scientists are working to ensure that Cloud platforms are as impenetrable as possible. However, many professionals are stubborn in their belief that Cloud computing simply doesn’t have strong enough mechanisms in place to protect business data and uphold compliance standards. However, TechTarget recently published an article that specifically urges business owners to be even more cautious about data stored on native servers. Tech expert David Linthicum assessed traditional and Cloud systems side-by-side and found that Cloud solutions were actually more secure than on-premise servers. Gartner echoed Linthicum’s findings and recently issued a report that puts Cloud security concerns to rest. “The security posture of major Cloud providers is as good as or better than most enterprise data centers and security should no longer be considered a primary inhibitor to the adoption of public cloud services,” Gartner execs stated in the report. When it comes down to it, Cloud platforms that are built carefully, credibly and with the most robust, state-of-the-art tools, offer more security and compliance potential than a legacy data center. In fact, the Gartner report went on to note that that the number of breaches experienced by Cloud users will be at least 60% lower than those of on-premise server users by 2020. Another common myth surrounding Cloud computing for business is that industry regulators – namely, the professional bodies that set industry compliance standards – are generally anti-Cloud. The belief is that regulators don’t trust the Cloud environment as an effective means of upholding compliance standards. But the reality is, professional standards bodies and the federal government are both becoming more and more receptive to the idea of virtualization and Cloud computing. As the Cloud continues to become a more popular option for business owners, industry regulators are beginning to acknowledge the Cloud as a legitimate, viable and reliable form of compliant technology. In fact, many have started issuing specified guidelines for compliance in the Cloud, including the PCI Security Standards Council who recently issued its own set of guidelines for Cloud computing. Even governmental bodies – like the Department of Health and Human Services (HHS) – has created guidance manuals for staying compliant in the Cloud. 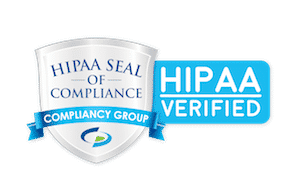 HHS – the governing body that issues HIPAA regulations for healthcare organizations – recently released a comprehensive guide to help providers stay compliant in a Cloud environment. This is especially telling because it means that with the right safeguards and controls in place, the Cloud is suited to meet even the strictest privacy and security requirements set out by federal law. The HHS guideline explicitly acknowledges the Cloud an acceptable means to protect extremely sensitive, legally protected patient data so long as organizations deploying Cloud solutions have signed a business associate agreement with their Cloud provider. Furthermore, the HHS notes that public, private, and hybrid Cloud platforms are all acceptable so long as all HIPAA compliance requirements are met. When it comes down to it, the Cloud is technically a big virtual machine. And the commonly held conception is that a virtual machine is less secure and not equipped to maintain compliance standards. However, as with most myths surrounding Cloud computing, this one doesn’t hold up either. Organizations using virtualized platforms can be fully compliant so long as you meet the specific standards set out in virtual environments. The PCI Security Standards Council even has a comprehensive guide for PCI DSS Virtualization standards. This helps companies ensure their virtual environment is designed with security in mind from the very beginning. The guide helps professionals make key considerations when it comes to security and virtualization. For instance, it stresses the importance of paying special attention to the hypervisor, since this is the most common spot for attacks in a virtual environment. The guide also provides tips on setting different security and access controls for different users in a virtual environment. Above all, the guideline offers concrete ways to ensure a company’s virtual environment meets all the same security and compliance standards that a physical server would. Now that we’ve busted some leading Cloud security myths, it’s critical to remember that no matter what technology platform you use, security and compliance is a two-way street. Business owners cannot and should not get in the habit of assuming that their computing environment will take care of security and compliance top-to-bottom. Compliance and data security is a complex task. Companies should be sure to thoroughly and properly vet all vendors and ensure that strategic and reliable safeguards are always in place. This includes making considerations for encryption, authentication controls, and backup solutions. Additionally, professionals should make sure there is a clear understanding of security processes and responsibilities and should execute clear protocols for compliance accountability. Finally, professionals and Cloud service providers need to develop a strong and transparent working relationship. Clear policies and procedural guidelines should be in place and both the Cloud provider and the company should have a solid understanding of both. Security and compliance requirements should be clear and each party should know what they’re responsible for managing and reporting. That’s why the HHS implements the use of business associate agreements under HIPAA. These agreements are essential to understanding and outlining the roles and responsibilities of all involved. The bottom line is that the Cloud is being used in countless organizational settings and can be designed to uphold compliance and data security. Its popularity is echoed by tech industry thought leaders, many of whom have gone on record to state that the Cloud is game-ready for any organization – even those with compliance standards to consider. However, making the switch can still be a daunting task for business owners who are trying to focus on profit, not procedure. That’s why reaching out to a team of tech professionals is the best way to ensure Cloud implementation happens securely and strategically. If you’re thinking of making the switch, or if you think your current Cloud deployment could be more secure, reach out to our team anytime for a consultation. We’re here to optimize business technology to suit your needs – never hesitate to get in touch.